There are lots of different factors to consider when choosing a roof underlayment, and one of those factors should be the tear strength of your chosen product. 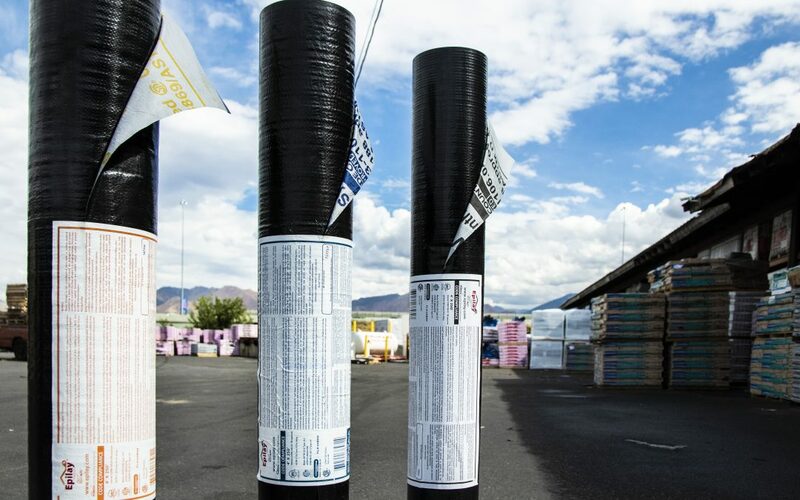 With Epilay’s PlyStik peel-and-stick underlayment, the 48-mil thickness helps increase tear strength, as does the 5-ply design, which features three layers of cross-woven polypropylene, a layer of non-woven polypropylene, and a layer of SBS modified bitumen. Other underlayment products, such as Protectite Superior, feature a tear resistant 4-ply design with 3 layers of coated cross-woven polypropylene and a layer of non-woven polypropylene. So why is high tear strength important? There are several reasons. Find out more below! One good reason to choose an underlayment with high tear strength is because it makes installation easier and there is less wasted material once the job is done. Traditional felt has a habit of tearing around fasteners as it’s being installed, but synthetic products are tough enough to stand up to screws and nails with less tearing. Tearing around fasteners isn’t the only installation-related damage to worry about. When working with roofing felt, contractors need to be careful about walking on it. Step wrong or slip a little, and the felt could tear. With synthetic underlayment, not only does the high tear strength prevent this type of damage, but skid resistant surfaces also help to prevent it in the first place. Another great reason to consider synthetic underlayment is that the high tear strength of synthetics is better able to protect the roof deck while the roofing is being installed. With roofing felt, once the felt is installed, shingles or the roofing of your choice needs to be installed over top of it immediately so that the felt doesn’t tear in high winds. If, for whatever reason, you experience a delay between installing the underlayment and the top layer of roofing materials, the tear strength and wind resistance of synthetic underlayment will keep the roof deck protected from wind and storm damage until the job is finished. Curious to see how Epilay products compare to 15 and 30-pound roofing felt where tear strength is concerned? Then check out the video below where we demonstrate the difference! What Type of Fasteners Should I Use to Hold Down Synthetic Underlayment? How Long Does Synthetic Underlayment Last?